While Michigan has instituted laws giving grandparents visitation rights, there are no custody laws specifically designed for grandparents to gain custody of their grandchildren. However, under law, a third party can adopt a child in certain circumstances and under specific conditions. This third person custody extends to grandparents and their grandchildren. A third party in a custody situation refers to a person other the parent. It is under this title that a grandparent can obtain legal custody of her grandchild. First, the third party--the grandparent--has to become the child's general guardian or limited guardian. General guardianship means that the court has already given the grandparent temporary custody of the child because the parents have been unable to care for him due to absence, neglect or abuse. The parents of the child can also voluntarily give guardianship to the grandparent. This is known as limited guardianship. How Can I Give My Mom the Full Custody of My Kids? What Are Child Custody Laws for the State of Louisiana? 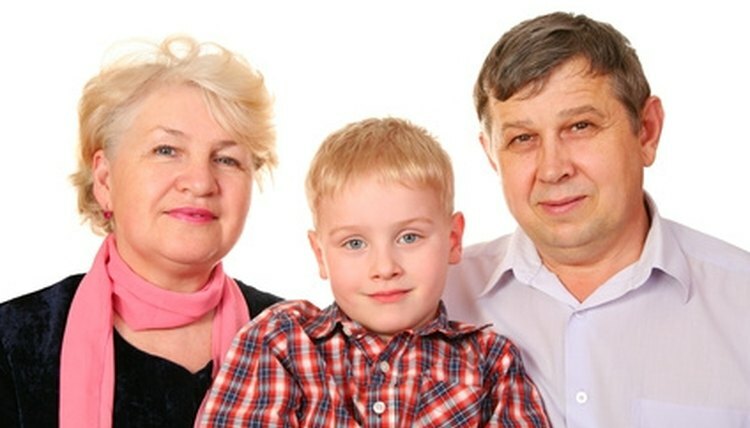 Once the grandparent obtains general or limited guardianship, three circumstances must apply to the custody situation in order for the grandparent to petition for third person custody: the biological parents of the child were never married; the custodial parent of the child dies or goes missing and under court order the noncustodial parent possesses no legal custody; and the person petitioning for custody is related to the child within fifth degree of marriage, blood, or adoption---which a grandparent would be. If one of these conditions doesn't apply to the situation, the grandparent can not petition the court for custody of her grandchild. When deciding the custody of any child, whether it's between parents or between a parent and grandparent, the court will rule in favor of the best interest of the child. When establishing the best interest of the child, the court will consider the following factors: the relationship between the parent and child as well as between the grandparent and child; the ability of each party to raise the child within his religion and continue his education; the ability of the parent and the grandparent to meet the child's material needs such as food, clothes and medical care; the child's duration and stability in his current environment; the stability of each parties' family; the morality of the parent and grandparent; the psychological and physical health of the parent, grandparent and child; the willingness of each party to foster the child's relationship with the other party; and any other factor relevant to that specific child. Kristen Marquette has been a professional writer since 2009 when FireLight Books published her debut novel, "The Vampiric Housewife." Since 2000 she has helped students hone their written and verbal skills in English as a tutor. She has a Bachelor of Arts degree from Michigan State University. Marquette, Kristen. "Michigan Laws on Child Custody for Grandchildren." , https://legalbeagle.com/6812628-michigan-laws-child-custody-grandchildren.html. Accessed 20 April 2019. Can a Child Change Her Last Name?